Michael Jackson Is Going To Be Homeless. As bad as it sounds, I’m quite happy to hear that someone with a crap load of money is losing their house due to foreclosure. I don’t know if you’re aware of this, but there is an epidemic in California – thousands of people are losing their homes because they can no longer afford their mortgage payments. I know people to whom this has happened, and trust me, it’s not a fun process. Although I am happy the epidemic has hit the rich, I am a bit sad to know that Michael Jackson could quite possibly lose his family home in Encino, CA. I’ve been to that house – well, to the gate anyway (one of my sisters demanded to our parents that she be allowed to drop off a present for the King of Pop). On top of all that, the infamous Neverland Ranch is being auctioned off. Yes, you heard me – auctioned off. I can’t wait to see who gets it. Jackson’s Neverland property in Los Olivos, Calif., is set to be auctioned off March 19 because of missed payments on a $24.5 million loan. 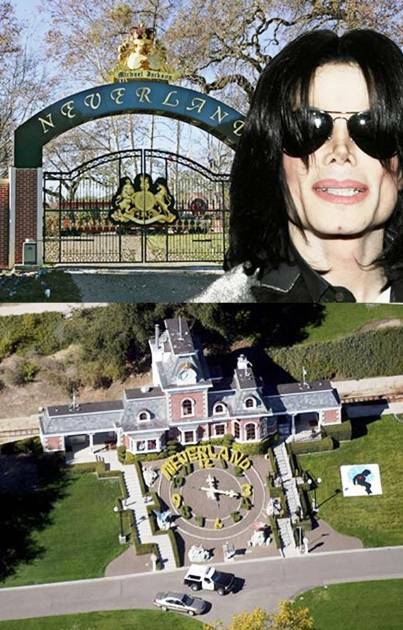 HollyScoop – Jacko To Lose Neverland Ranch? previous post: Paris Hilton’s New Reality. next post: Today Is February 29th. Do You Know Why? As of today, reports are surfacing that he is finding a way of raising the needed funds to keep the ranch. What’s strange to me is the idea that he only needs to raise 24+ Mil. From what I understand he owns something in the realm of 1000+ acres. You’d think he could sell off property and keep the homestead. All that said…. it’s a nasty property – who’d want to live there? Too much bad mojo… Even if you kept the main residences, who want’s to deal with either the tear-down or up-keep of all the attractions? From a finanacial standpoint, it would seem he’s been living beyond his means for at least 20 years. You’re evil and are part of the reason that a beautiful soul, Michael Jackson is dead at 50. I wish you all of the heartache that Michael endured and more. Michael was too good for this world. If there is an upside to Michael’s death it would be that he can no longer be affected by the likes of you or others like you. Michael is where he belongs among the meek and gentle, the angels. I guess God knew that Michael could not endure anymore of the public criticism. How do you put your head on the pillow at night? I guess devils sleep well. May God Bless You Michael and RIP. You are not alone. 51 queries in 1.426 seconds.